For many people, the most accurate record of their lives is Facebook. Pictures of their kids, significant events in their lives, or simply how they are feeling. With over one billion users, that means Facebook is the de facto memory of our online lives. That has considerable implications, especially as it being a record of activities that are questionable, offensive and even illegal. 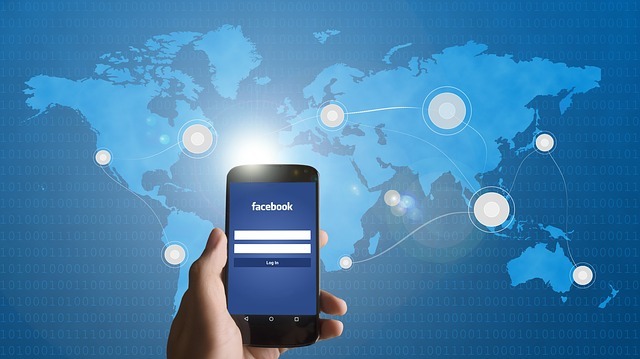 Beyond the personal sphere, Facebook Pages are considered business records. And Facebook Messages, if they are business communications, are also business records. Thus, using Facebook (and other social media) requires the same obligations and retention policies as any other business record. You want to keep accurate records of who said what, when for litigation protection, compliance, and corporate memory needs. Relying on Facebook itself, is fraught with issues. They have no obligation to retain your content; FACEBOOK IS NOT RESPONSIBLE FOR THE ACTIONS, CONTENT, INFORMATION, OR DATA OF THIRD PARTIES. And, once posted, you've lost control of "your" content as their terms of service provide such broad control to them, Facebook can do as they wish; "you grant us a non-exclusive, transferable, sub-licensable, royalty-free, worldwide license to use any IP content that you post on or in connection with Facebook (IP License)". While Facebook does allow you to download your information, there's no guarantee of accuracy or authentication involved. This download won't satisfy Federal Rules of Evidence (Rule 901) if you want the archive to have legal standing, or compliance rules for FINRA, SEC, Open Records Laws, etc. Specifically, Facebook compliance refers to the rules and regulations governing financial firms and advisors in regards to social media. In the US, FINRA has created specific guidelines (Regulatory Notice 10-06 and Regulatory Notice 11-39) for social media. If any Facebook communication is a business communication, it IS a business record and needs to be archived for three years. While any particular post, depending on its content and intent, can be debated if it is a "business record", you don't want to have to scramble to prepare for an audit, or have an audit show missing records. Anticipate audits and have proper social media policies and procedures in place BEFOREHAND. A simple, easy-to-follow social media policy should be in place, taught to all employees, and monitored on an ongoing basis. And, a proper archiving system that automatically handles the record-keeping aspect needs to be implemented as well. For government agencies, Facebook archiving is necessary to comply with State Open Records Laws or FOIA (Freedom of Information Act) requests. In general, States already have laws that pertain to Facebook archiving. Some States already have laws specifically written about social media retention, but, if not, laws about Open Records apply. While the medium is new, the intent remains the same; the public has a right to know. For other organizations, Facebook archiving is a smart risk mitigation strategy. More and more interactions with the public and with employees are happening on Facebook. HR might have to deal with situations of online harassment. Marketing might want to keep proper track of all their posts, in case someone tries to falsify claims. For public companies, investor relations should keep track of any news and announcements to demonstrate to the SEC what they have published. Facebook archiving protects your organization. Ensure that your organization takes full advantage of the massive Facebook audience without additional risk and start archiving all your social media.